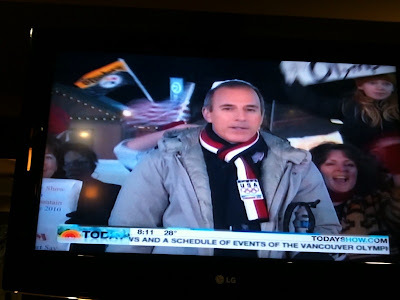 You are not seeing things: Courtesy of eagle-eyed reader Ryan W., here's not one, but two examples of Steeler fans invading NBC's morning coverage of the Olympics. Blow them up for a larger view and don't shake your head in disbelief too hard when looking at them. Arena League coming back to the Burgh? The rebooted league is looking to add teams in Philadelphia, Southern California, Denver and Pittsburgh in time for the 2011 season, according to commissioner Jerry Kurz in a conference call today. Killed a guy while driving drunk? Yes, the Ravens have room for you. High character always comes second to talent in Baltimore, with examples too numerous to mention. So it should come as no surprise that the Steelers' division rival has signed WR Donte Stallworth to a one-year contract today. ESPN describes the move nicely, saying Stallworth is "hoping to resurrect a career that was halted by a manslaughter conviction." Steelers sign two: The team inked a few players to contracts today, CB David Pittman and LB Renauld Williams. Pittman was a third-round pick of Baltimore in 2006, playing in just seven games with the team before finding himself out of football as recently as 2009. Mississippi State pulls a WVU: Anyone else watch the end of Mississippi State and Kentucky last night? If you missed it, Bulldog fans pelted the court with bottles, including what appeared to be a full water bottle launched at official Mike Kitts. George Karl stricken with cancer yet again: The feisty Denver Nuggets coach who hails from Penn Hills has just been diagnosed with neck and throat cancer, he revealed yesterday. Karl beat prostate cancer in 2005, and his son Coby, who played most recently with the Warriors this year, needed two surgeries to battle thyroid cancer in 2007. Another day, another Luke Ravenstahl controversy: The Mayor lashed out at the media yesterday over whispers that he was at Mardi Gras, coming on the heels of his being snowed in at Seven Springs during the first Pittsburgh Snowpocalypse two weekends ago. If Ravenstahl controversies sound like a familiar theme, they are. There was his infamous trip to the Stanley Cup Finals in 2008, that messy trip to New York in 2007, and the granddaddy of them all, the rumor that he sneaked in to see Tiger Woods at Oakmont in 2007. The mother of all Steeler vehicles: That's what this ride is being touted as, owned by 44-year-old Johnny Dabovich of Pueblo, Colorado. The PG's Blog and Gold has the full story on how this incredible piece of memorabilia on wheels came to be. Bad news for Jim Leyland: The human chimney is going to struggle with the new Michigan law banning smoking in public that goes into effect in May. Don't forget. Penn State going for 1-12 tonight! Don't forget... Ravenstahl also used the homeland security SUV to go to a Kenny Chesney concert. Oh... and he changed his name to Steelerstahl. Then there was that whole drunk and disorderly bug-a-boo at the Steelers game. That's what the city gets when it pulls one lever (regardless of party) and doesn't look at the candidate. Then again, who were they going to vote for? Luke, a young weasel attorney, and the sperm of Franco. 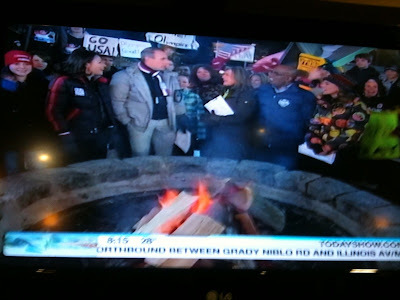 Once again my beloved Mountaineers are national trend-setters! I go with sperm of Franco. His dad made the Immaculate Reception n'at. Luke Ravenstahl is an example of "you can't polish a turd". He uses his mayoral position as nothing more than a chance to rub elbows with celebs and be a professional jock sniffer. HE clearly does not take his job seriously at all. I am more surprised that Stallworth wasn't inked by Cinci as Chris Henry's replacement. I guess that would just be a little too ironic, don't you think? When will the Pens have time to play in the new arena with the NBA and Arena football coming to town? Just kidding. Arena football would be sweet! Yeah, I really do think. It's like raaaaaaaiiiiiiiiiin on your wedding day.